■ If your puppy bites or nips say, "no" firmly and use shake can. ■ Provide your pup with enough toys to chew. 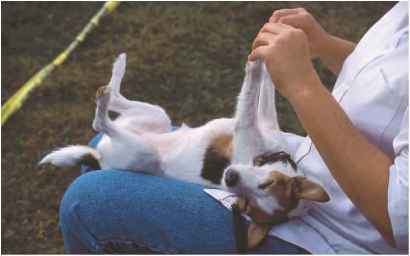 ■ Teach the child to treat the dog with kindness and care. ■ Do not leave a child unattended with your dog as this breed is not particularly fond of children. ■ You can place a muzzle on a dog that is injured or in pain to prevent him from biting. If your dog is over 10 months old, have a dog trainer or vet evaluate him to determine whether it's safe to keep her.